Most people who publish a book, a self-help or how-to book in particular, all hold what I refer to as the “Oprah Pipe Dream.” By that I mean that they believe that their book will sell millions if they could only get on a show like the Oprah Show and speak about their book, as that would be their ticket to riches. Let me give you a BIG reality check. That could not be further from the truth. According to BookScan, which tracks most bookstore, online, and other retail sales of books, the average U.S. book is now selling less than 250 copies per year and less than 3,000 copies over its lifetime. So, you may be thinking, “Well, if that’s all I’m going to sell, why bother with publishing a book at all?” The answer, my dear reader, is that you need to change your focus from selling lots of books to selling lots of programs and services because of your book. Savvy entrepreneurs are using their books as the foundation of the businesses. They are publishing a book to make themselves an ACE (Authority, Credibility, Expert). They are using this book to set themselves up as the obvious choice for their target market and distinguish themselves from their competitors. If you wanted to find a dentist who does teeth whitening, wouldn’t you pay more attention to the dentist who had written a book on the subject, especially if he offered to send the book to you at no charge? The key to monetizing your book is to ensure that it gets into as many hands of your target prospect as possible. For most entrepreneurs, this means giving the book away as a promotional offer. For example, rather than creating a commercial advertising his teeth whitening services on a local TV station’s channel, a local dentist will focus the content of the TV ad on his book about teeth whitening and tell viewers where they can get their free copy. He will take out a similar advertisement in a local magazine, where the ad focuses on the reader requesting a copy of his book on teeth whitening. Similarly, he’ll make the same offer of a free book as the lead magnet on his website. What is happening when the prospect gets the book? Unlike a business card or a brochure, the prospect is reading, or at least skimming the book when he receives it, and the prospect tends to keep the book on his desk or in his bookshelf and not throw it in the trash, which is the fate of so many kinds of marketing materials. As the prospect reads the book, he is unconsciously absorbing the dentist’s expertise, as the dentist has created a short read (35-75 pages) on the topic of teeth whitening. The book is short enough to be easily read in one sitting, like when waiting to pick up kids from school, on the train commuting to work, or at a layover at the airport. Because the prospect hangs onto the book, he is reminded about the service the dentist offers every time he sees the book around his home or office. When the prospect is ready to move forward on getting his teeth whitened, more than likely he will contact the office of the dentist from whom he received the book. The book generated a qualified lead for the dentist. If the dentist has an automated system of follow up messages or mailings to those prospects requesting the book, it’s almost a certainty that the prospect will choose the dentist who wrote the book as the dentist to do the teeth whitening. Teeth whitening costs an average of $600. How many books sold at $19.95 would the dentist have had to sell to make that same money? The answer is 19. Moreover, once the prospect becomes a patient and assuming that the new patient is happy with the dentist and the teeth whitening process, the likelihood that this patient will return to the dentist for other types of services is much greater. Remember, it costs much less to retain a current patient that to continually prospect for new patients. With the lifetime customer value of a dental patient estimated to be $10,000, can you see how using his book as a lead generator is making the dentist much more revenue than trying to sell individual books? 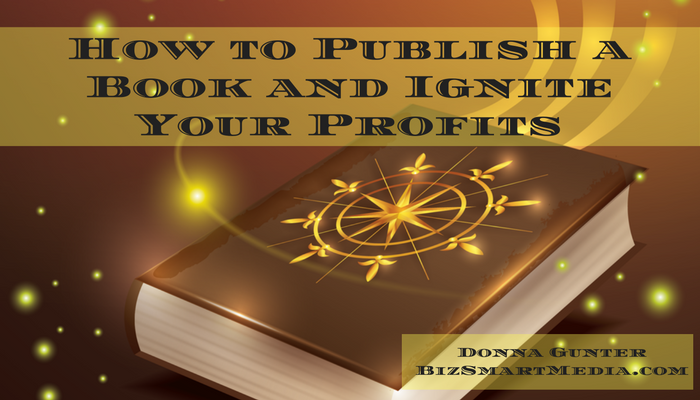 If you want to become an author and publish a book for your business, change the focus of your thinking from selling more books to selling more product and services based on your book. Your business will be all the richer for it.